Good friends are great to have, right? I am sure you have a lot of acquaintances, even some colleagues, and other people you generally consider friends. That’s great, but how many close friends do you have? Close friends are people that are around to share in your successes. However, the thing that really makes them close friends is that they are around to support you when things are not going so well. In our daily lives, many of us look to build relationships with people upon which we can depend. We want to have their backs, but we want to ensure they have ours as well. Better yet, we want to develop long-lasting relations with such individuals. The desire to build long-term, meaningful, and fruitful relationships in our personal lives applies to our businesses and work lives as well. 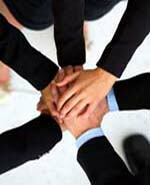 In fact, in business many companies may refer to such relationships with other organizations as strategic partnerships.